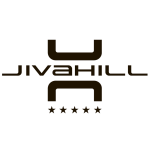 The whole team of Jiva Hill Resort wishes you a warm welcome. We remain at your entire disposal throughout your stay to answer your expectations and needs. Our Front Office team will be pleased to assist you in bookings at the Spa, golf, restaurant, as well as your flight and taxi reservations or other places you may like to discover in our region. We thank you for having chosen Jiva Hill Resort and we wish you a pleasant stay in “Pays de Gex”. Check out time: before 12:00pm. Billing charge will be ready on day of departure. In case of longer stays, you may settle an interim invoice every 7 days.